Recently, Sony innovative high-end home theater new VPL-VW1000ES projector unveiled in Japan CEATEC JAPAN exhibition, eye-catching. 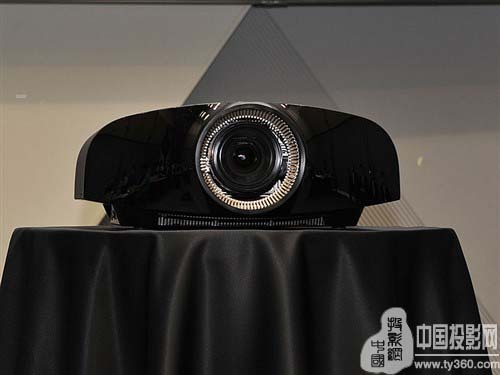 This new product is the world's first home projector reach the current level of digital cinema of 4K (4096 × 2160) resolution, it is shocking. Which is used in Sony's exclusive SXRD technology, with 4K SXRD panel, also has a super high-resolution LSI processing chip and 2.1 times zoom ARC-F lens, professional theater configuration, so this product is very luxurious. Appearance on the VPL-VW1000ES also present Sony home theater projector very different, huge lens and with a metallic design is very stylish, I feel quite artistic temperament. concern is that the Sony VPL-VW1000ES used is 0.74 inches 4KSXRD chip, which is newly developed product, than the current models used in digital cinema a lot of small chips, pixel pitch reduced by 40%, and accuracy of the screen is more excellent, more detailed picture. In addition, this product uses 330W bulb, light enough, brightness of 2,000 lumens, while the third generation is also equipped with advanced aperture to enhance contrast to one million. Sony VPL-VW1000ES projection with 3D performance, body built 3D signal transmission devices, and provides 3D signal interface, you can add an external 3D transmitter.